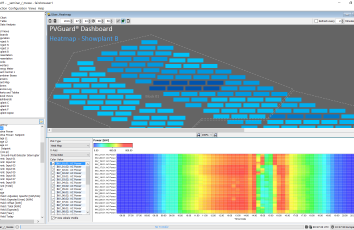 With the release of PVGuard® 2.2, skytron® energy is making a significant step to better collection and analysis of large data volumes in the PV sector. From September 21, 2015, the Berlin-based company will be additionally making a 64-bit version of its market-leading remote supervision platform available. This will let the software access all the working memory that is available; the resulting performance boost will make PVGuard substantially more responsive, and will simplify the analysis of large data volumes. In addition, a new extension to skytron energy’s products, PVGuard Local, allows all the functionality of PVGuard to be used when there is only a sporadic Internet connection or even none at all. Of course, PVGuard Local will benefit from all the associated improvements of version 2.2. Matching server hardware is provided by skytron energy in the form of skyserv® Local - a Linux®-based server, which can be installed at a customer’s site. With skyserv Local it will be possible to access all important data from a PV system and analyze it without any detour over the Internet. "With the introduction of PVGuard Local and skyserv Local we are responding to the ever-growing challenges and needs of our customers. 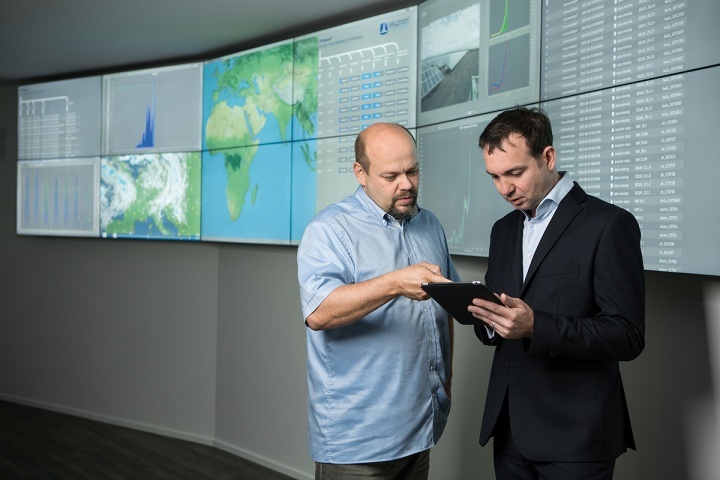 In the PV sector as in so many areas, issues around Big Data are becoming increasingly important," said Hendrik Hoffmann, Director Software, Service and O&M at skytron energy. "For these reasons, we have developed products through which large volumes of data can be stored over very long periods directly at a customer’s site without having to rely on an Internet connection. They open up entirely new possibilities in particular for areas with poor Internet infrastructures. These products are also very good news in the USA, where the ability to store data locally to the PV system is a "must-have." The version 2.2 update will make working with PVGuard and PVGuard Local even easier in the future. The dashboard of the new version has been made even clearer, while at the same offering even better options for the display of data and charts. The skyserv Local hardware offers additional features, such as a clearly laid out service panel and data export functions for post-processing. In addition, skyserv Local is available in different variants to meet specific plant requirements. These include an optional cooling unit to allow the server to operate in ambient temperatures up to 50°C and a version with an uninterruptible power supply. 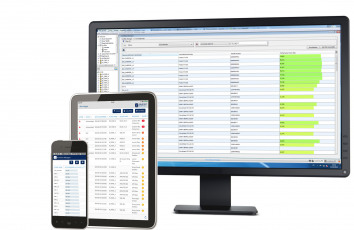 The new version of PVGuard is particularly suitable for plant operators who are considering a retrofit or system migration of their existing plants. By using skytron energy’s supervision platform, the supervision of all the power plants can be brought under a single platform, with corresponding efficiency gains for operations management. Here, skytron energy is the perfect partner - the company has now successfully migrated installations with a total capacity of over 1 GW. From 14th-17th September 2015 skytron energy will be presenting its products and solutions at SPI 2015 in Anaheim, California. Visit us at our stand (no. 1030). Here, among other products, we will be demonstrating PVGuard Local.